Patricia Oxendine Strickland, age 73 of Pembroke passed away Monday, December 3, 2018. Patricia was born July 13, 1945 in Robeson County, a daughter of the late James Kelly Oxendine and Bessie Dunn Oxendine. 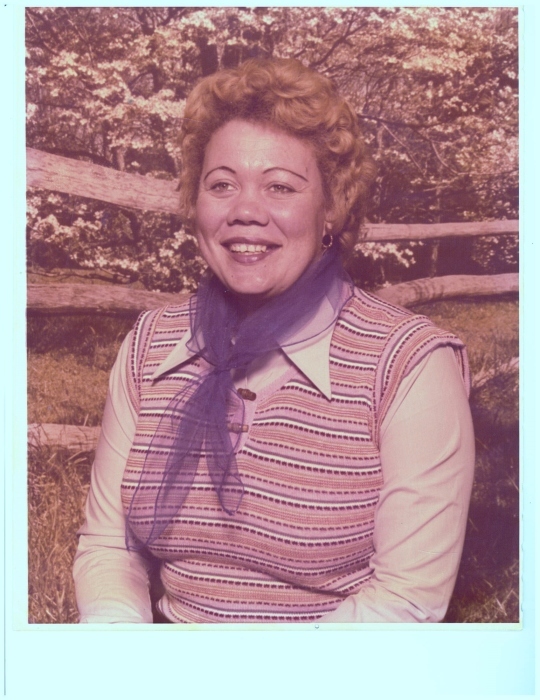 She was the wife of the late Ivory Strickland. Patricia was a homemaker who loved sewing, making crafts and spending time in her flower garden. The times with her family were her most cherished moments, especially those spent with her grandchildren. Her family will always remember her as a dedicated wife, mother, grandmother, sister and friend. Along with her parents and husband, she is preceded in death by a son, Adolf Strickland; brothers, Andy Oxendine, James Hardy Oxendine; grandson, Bobby Junior Blue and niece, Sheila Lowry. Patricia leaves behind a son; James C. Strickland (Tara); daughter, Lorrain Blue (Bobby); brothers, Wesley Oxendine (Lana), Larry Oxendine; sisters, Mary Lowery, Beulah Oxendine (Anthony), all of Pembroke; grandchildren, Latisha Locklear, Cody Strickland, Haneigh Strickland, Aaron Strickland, Taylor Oxendine, MyKaila Locklear; great grandchildren, Jahaven Contreas, Austin James Ray Strickland, Kaiden Strickland; a host of loving nieces, nephews and many friends. Funeral services will be at 2:00 p.m. on Saturday, December 8, 2018 at St. Annah Freewill Baptist Church, officiated by Rev. Anthony Oxendine. Burial will follow in the church cemetery. The family will receive friends prior to the service from 1:00 until 2:00 p.m. at the church on Saturday.